Hate but LOVE more. Argue but AGREE more. Talk but LISTEN more. Punish but FORGIVE more! 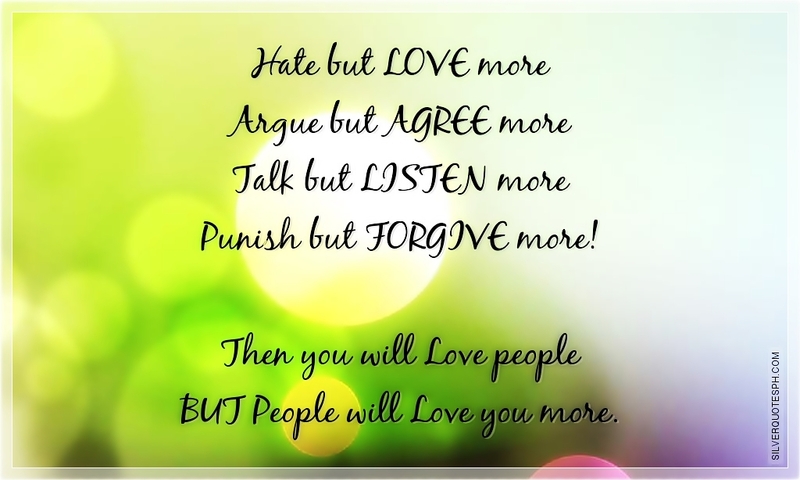 Then you will Love people BUT People will Love you more.